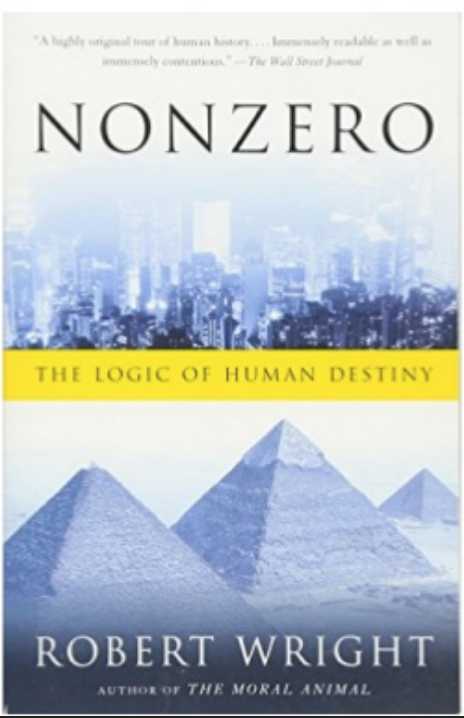 Nonzero: The Logic of Human Destiny, is an ambitious book, with a title that one might deem grandiose. But the author, Robert Wright, crafts a satisfying, readable tour de force that synthesizes human history, anthropology, game theory, biology, and ethics. Readers of OpEdNews should find the book interesting, because it speaks to hopes for progressive change and because it transcends (or is orthogonal) to debates about top-down versus bottom-up change. The book first explores the evolution of human societies towards larger and more complex social organizations. Hunter-gatherers came under the command of village chiefs. Over time, chiefdoms defeated, or merged, with other chiefdoms, forming city-states. This evolution was accompanied by the rise of agriculture and writing. City-states eventually merged to form nation states, which traded with, and fought with, one another. Nation states merged into larger nations and, recently, into supranational governing bodies such as the European Union and the United Nations. The reasons why people and communities merge into larger cooperative entities are twofold. First by banding together they can better compete with other groups, either in war or in economic exploitation (e.g., corporations). Another reason for merging into larger, cooperative entities is that free trade and division of labor are more efficient. The market system, of products, services, and ideas, allows for greater economic productivity and a richer cultural life. "[E]xpanding non-zero-sumness has in the meanwhile carried the rational for supernational governance well beyond peacekeeping." That is, it's not only because war is so destructive that city-states and nations cooperate and construct international rules and mechanisms of cooperation. "Everything from tax policy to accounting standards to environmental policy to policing power is creeping towards the supra-national level." The result needn't be a single world government. It could be something like the European Union, wherein member states give up some sovereignty and, effectively, become like provinces in confederation. Even biology isn't all about competition, though books on evolution tend to emphasize survival-of-the-fittest. 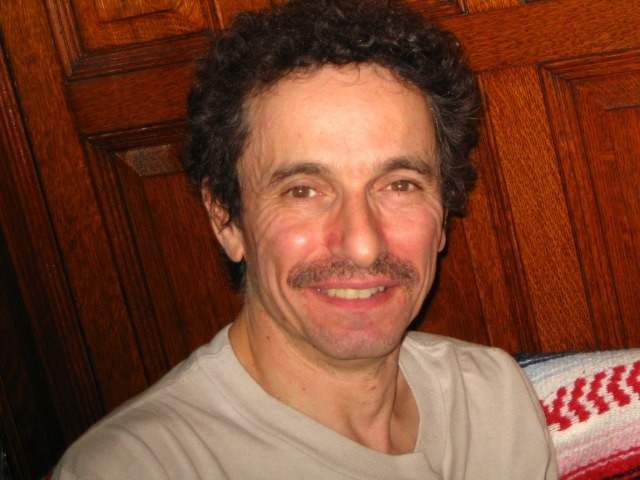 Genes cooperate within and between chromosomes. Species cooperate symbiotically. Animals care for and "love" their offspring, their siblings, and their kin. There are social insects. Among humans, the growth of civilization has involved the extension of altruism towards wider and wider swaths of humanity, and to more and more species. The fittest species have evolved means to cooperate. The logic of non-zero-sumness is what "organized genes into little primitive cells, little primitive cells into complex, eukaryotic cells, cells into organisms, and organisms into societies." Wright argues that, contrary to what the biologist Stephen Jay Gould claims, there is a direction to evolution: towards more complexity. Furthermore, it's not true that species evolve only in response to changing habitats. They evolve also in response to other species. For example, there is an arms race of complexity between predator and prey species. And there are non-zero sum interactions that increase complexity and cooperation: it pays to specialize. Evidence of increasing complexity includes the fact that eyesight has arisen independently in evolution dozens of times, while flight has arisen at least three times. Multi-cellularity evolved more than ten times. Organelles (such as mitochondria and chloroplasts) evolved multiple times, but it's unclear whether the important invention of the nucleus was repeated. Similar evolution is apparent in the cultural sphere. Across continents, multiple societies have evolved from hunter-gatherers, to chieftans, to city-states, and then to nation states. Chance events (e.g., meteors) can have a huge effect on details of evolution they can even destroy many species. But, Wright argues, the general trajectory of increasing complexity and higher levels of coordination seem to be universal in both biology and cultures. Wright makes a good analogy. The person who wins the lottery is extremely lucky: the chance of a particular person winning is very low. But the chance that someone will win the lottery is very high. Similarly, we humans are lucky that our ancestors accumulated the traits needed for us to develop intelligence, dexterity and culture. But, contends Wright, it seems likely that some species would evolve these features, because the various components have evolved separately and because arms races between species are an "escalator" that tends to drive species towards higher complexity. Genes and memes co-evolve. For example, genes for larger brains, for dexterous hands, and for vocal chords that could speak certainly co-evolved with cultural accretions that took advantage of those abilities. Both biological evolution and cultural evolution depend on the interplay between zero-sum games (competitions, such as predator-prey dynamics and war) and non-zero sum games (the coordination by individuals to win the zero-sum games). "[Z]ero-sum dynamics intensify non-zero-sum dynamics; competition between entities encourages integration within them." Alas, war is an engine of creation. However, Wright "can't accept God" so 'there is no God" ??? And he does not know what "consciousness" is but knows there is no "sentient" behind Universe. For thousands of years people had some feeling of "morality". I believe that both morality and consciousness exist objectively, not only related to us few. Don't deny God with no proof. I think in his book Wright doesn't straight out say there is no God, like I do. In his latter chapters, he flirts with suggestions about divinity But he expresses a lot of doubt about it. I probably should have clarified that my statement "There's no God to save us" reflects my views more than his. Indeed, I think the burden of proof is on theists. The preponderance of evidence suggests there is no God or gods. The simple argument that the book provides is that there is 'sense' in the Universe. Another argument is "if we are conscious are we isolated"? Of course not, I am convinced, consciousness has to be a universal phenomenon in some way. There was a time that magnets were curious rocks that attract iron. Today we know that magnetism is omnipresent. Same with consciousness, I believe. And theists and atheists have the same role and responsibility - to find what is true.